BEST RATED HAIR TRANSPLANT DOCTORS aren't always easy to find. You've seen them everywhere, the best rated hair transplant doctors have all of the logos and seals that prove they are the best rated hair transplant doctors. But what do these logos and seals really mean? Do they legitimately mean that the doctor you're looking at is one of the best rates hair transplant doctors you can find? In this episode of Hair Transplant Class I take a look at the many different hair transplant and hair loss societies and associations that you are most likely to come across when performing your research for the best rates hair transplant doctors in the world. We start with RealSelf, which is EVERYWHERE today, but what does it mean to be found on RealSelf or to be rated as a RealSelf "Top Doctor"? As it turns out, when you look at the requirements stated on the RealSelf website there isn't much to it. It basically boils down to being active on the website and answering a lot of questions. Doctors do have to have good reviews, but it is only a minimum of three that are required. Then there are the hair specific societies starting with the ISHRS. This is a really good organization but it has nothing to do with the quality of work that the member doctor produces. Instead, it means that the doctor you're considering is probably active with continuing education which is important when considering the best rated hair transplant doctors. There are many other societies that you might find on websites but these are usually related to the ISHRS in some form in that they are regional specific branches but they still focus on the education and awareness side of things rather than requiring or enforcing standards. Then there are organizations such as the American Board of Hair Restoration Surgery, the ABHRS. This is an organization that has real requirements for membership, including a written exam designed to be passed only if the doctor taking the exam has at least fifty hair transplant surgeries as a minimum level of experience. It's not the most rigorous organization to be accepted to but it is the best we've got when it comes to insuring a standard of care is achieved. Hopefully, moving forward, the ABHRS will be a requirement to get into the hair restoration industry for all doctors. The American Hair Loss Association is a great seal to have on one's website because it is a real seal of quality. It is the first referenced hair loss resource in the world. It is regularly referenced and quoted in major media outlets including on CNN, ABC News, WebMD (the biggest medical reference online) and is the only hair loss organization to be endorsed by Consumer Reports. The great thing is that the AHLA does not take donations nor does it accept corporate sponsorships. In fact, the only way to become a member is to be an existing accepted member of the International Alliance of Hair Restoration Surgeons (IAHRS). This is the first standards based consumer and professional association that really takes a look at the quality of work being performed by member clinics, as well as the ethics and patient care. Most of the best rated hair transplant doctors in the world are members of the IAHRS but even with such a strong membership the IAHRS always says that their membership list is not the definitive list of best clinics but rather it is a safe place to start your research. Finally there is the Hair Transplant Mentor™ partner doctor program, which as you all know is only open to doctors that are existing members of the IAHRS and have passed my own personal review based on my personal and professional experience working in top rated clinics. One of the differences with clinics that I support is that I work with these clinics behind the scenes to identify and address issues that can be improved upon so clinics that I work with not only get to benefit from our public relationship they can use me as an unbiased third party to evaluate their internal procedures and protocols and work with me to make improvements to make their clinic even better. There are other online organizations, of course, but they don't really mean much. I'm not talking about the ones that recognize clinics for their contributions to patient education. I'm referring to organizations where the management simply picks and chooses clinics based on photos on their websites, which you can do yourself. 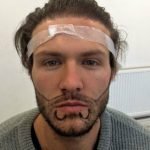 And the management of these websites don't have any qualifications that you don't have because, at most, they too may be patients but none of them have ever worked in a clinic so they don't really understand what makes a clinic one of the best rated hair transplant clinics vs. a clinic that may not be quite as good. I think those are fairly easy for you to figure out as they have two tiered membership systems based on how refined the various clinics are with their work. So now you know what the more commonly found organizations and associations mean. Stay tuned for more Hair Transplant Class videos.